One of the most valuable services that we can provide is the home security assessment. Homeowners invest a great deal when purchasing a home. One of the most often overlooked items when buying a home is security. This process runs as a parallel to the home inspection and provides insight to the home and neighborhood. Upgrading security can be expensive and many upgrades can be completed for little cost and having a better understanding of how criminals operate. As a 30 plus year law enforcement officer Rod has learned a few things about how criminals function and what they look for. We will come to your home and conduct a security analysis, provide you with a statistical report of crimes in your neighborhood and make recommendations for the level of security you may need for your home. The report basically works on the system of Vulnerability + Threat = Risk. In order to determine your home threat vulnerability, many factors need to be taken into consideration. 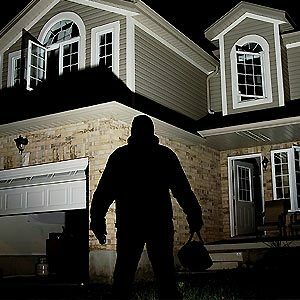 Your residential location can make you vulnerable to home related crimes. While there is no such thing as 100% security, we can provide you with the most logical recommendations based on crime statistics, experience, area crime trends and what we observe during a home assessment. Implementing a security plan that includes a complete Crime Prevention Through Environmental Design (CPTED) analysis can minimize the attraction of your home to the criminal element and provide the necessary deterrence for much less than adding all of the security gismos on the market. Invite us to take a look and we will conduct the assessment and provide you with the best recommended course of action with improvements etc. To schedule an appointment please follow this link. 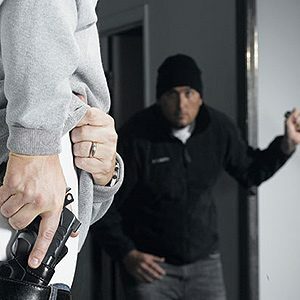 Short Description: This course teaches students the knowledge, skills and attitude essential for avoiding dangerous confrontations and for the safe, effective and responsible use of a concealed pistol for self-defense outside the home. Prerequisite: This course is for adult individuals who are not disqualified from possessing a firearm as defined by applicable federal, state or local law and are of good repute and possess defensive pistol skills presented in the NRA Basics Of Personal Protection In The Home Course. Participants must also understand the basic legal concepts relating to the use of firearms in self-defense, and must know and observe not only general gun safety rules but also those safety principles that are specific to defensive situations. 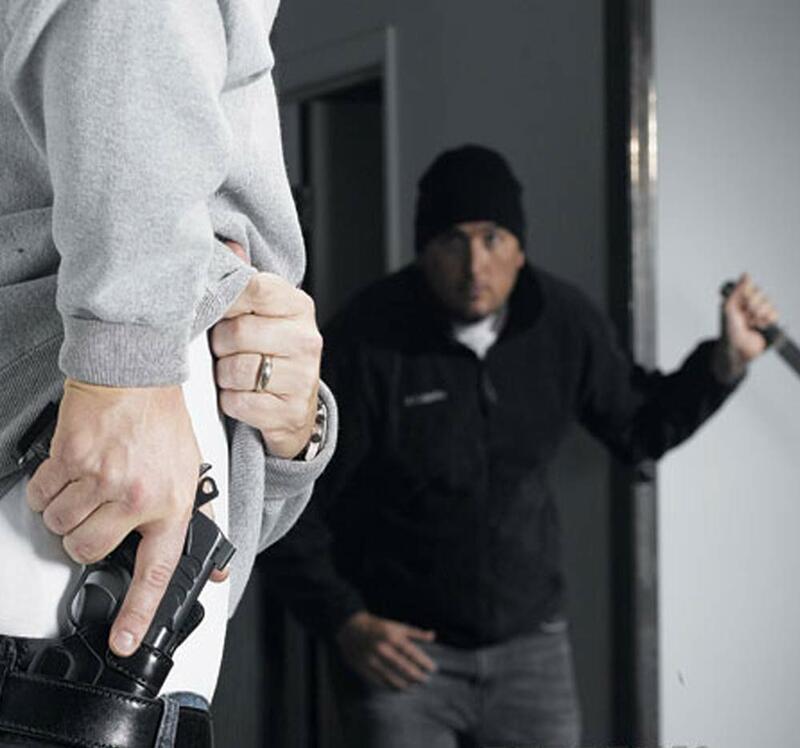 Prospective participants can demonstrate that they have the requisite knowledge, skills and attitudes by producing an NRA Basic Personal Protection In The Home Course Certificate, or by passing the pre-course evaluation. Description: The course is divided into two levels. Level one is nine hours and offers the essential knowledge and skills that must be mastered in order to carry, store, and use a firearm safely and effectively for personal protection outside the home. Students spend several hours on the range and shoot approximately 150 rounds of ammunition during level one. Upon completion, students may choose to attend level two, which is an additional five hours on the range and approximately 135 rounds of ammunition learning advanced shooting skills. Time and ammunition requirements are minimum, and may be exceeded. Students will receive the NRA Guide to the Basics Of Personal Protection Outside The Home handbook, NRA Gun Safety Rules brochure and appropriate (level one/level two) course completion certificates(s). Note: Lesson III—Firearms and the Law, and Legal Aspects of Self-Defense—of the Personal Protection In And Outside The Home courses is conducted by an attorney licensed to practice law within the state in which this course is given and who is familiar with this area of the law; a Law Enforcement Officer (LEO) who possesses an intermediate or higher Peace Officer Standards and Training (POST) certificate granted within the state’ or an individual currently certified to instruct in this area of the law by the state in which this course is presented. NRA certified instructors may conduct this lesson only if they meet the requirements stated above, and then only in their capacity as an attorney or other state certified individual, not in their capacity as an NRA certified instructor. Short Description: This course teaches the basic knowledge, skills, and attitude essential to the safe and efficient use of a handgun for protection of self and family, and provides information on the law-abiding individual’s right to self-defense. Prerequisite: This course is for law-abiding adult citizens, as defined by applicable federal, state or local law, and experienced shooters (shooters able to show mastery of the basic skills of safe gun handling, shooting a group, zeroing the firearm, and cleaning the firearm). Prospective participants can demonstrate that they have the requisite knowledge, skills, and attitudes by producing an NRA Basic Pistol Course Certificate, NRA FIRST Steps Course Certificate, NRA pistol competitive shooting qualification card, military DD 214 with pistol qualification, or passing the Pre-Course Assessment. Description: This is an eight-hour course. Students should expect to shoot approximately 100 rounds of ammunition. Students will learn basic defensive shooting skills; strategies for home safety and responding to a violent confrontation; firearms and the law; how to choose a handgun for self-defense; and continued opportunities for skill development. Students will receive the NRA Guide to the Basics of Personal Protection In The Home handbook, NRA Gun Safety Rules brochure, the Winchester/NRA Marksmanship Qualification booklet, and course completion certificate. Note: Lesson III of this course—Firearms and the Law, and Legal Aspects of Self-Defense—is conducted by an attorney licensed to practice law within the state in which this course is given and who is familiar with this area of the law; a Law Enforcement Officer (LEO) who possesses an intermediate or higher Peace Officer Standards and Training (POST) certificate granted within the state; or an individual currently certified to instruct in this area of the law by the state in which this course is presented. 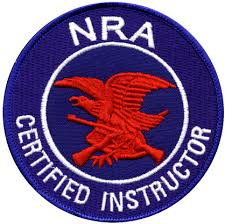 NRA certified instructors may conduct this lesson only if they meet the requirements stated above, and then only in their capacity as an attorney or other state certified individual, not in their capacity as an NRA certified instructor. Don’t see the class you want scheduled? Class dates doesn’t fit your schedule?